A great many people are afraid of the will of God, and yet I believe that one of the sweetest lessons that we can learn in the school of Christ is the surrender of our wills to God, letting Him plan for us and rule our lives. If I know my own mind, if an angel should come from the throne of God and tell me that I could have my will done the rest of my days on earth and that everything I wished should be carried out, or that I might refer it back to God, and let God's will be done in me and through me, I think in an instant I would say. 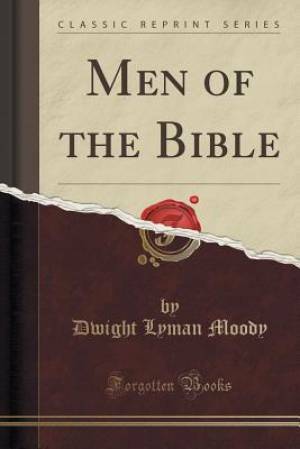 Men of the Bible (Classic Reprint) by Dwight Lyman Moody was published by Forgotten Books in July 2016 and is our 63074th best seller. The ISBN for Men of the Bible (Classic Reprint) is 9781333012809. Be the first to review Men of the Bible (Classic Reprint)! Got a question? No problem! Just click here to ask us about Men of the Bible (Classic Reprint).